The amount of 200 USD has been withdrawn from your account. Accounts: U2631114->U15199701. Memo: Shopping Cart Payment. Deposit to ETHRAL BIT LTD User MYINVESTBLOG.. Date: 21:55 27.04.18. Batch: 212788895. Memo: API Payment. Withdraw to naale from ETHRAL BIT LTD..
Ethral Bit LTD	+3.00 Received Payment 3.00 USD from account U15199701. Memo: API Payment. 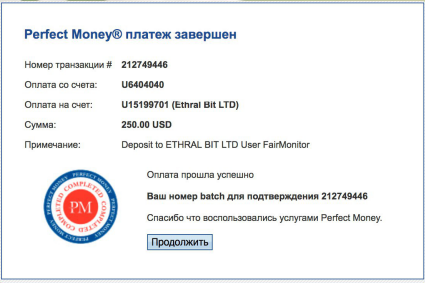 Withdraw to FairMonitor from ETHRAL BIT LTD.
Ethral Bit LTD	+1.00 Received Payment 1.00 USD from account U15199701. Memo: API Payment. Withdraw to FairMonitor from ETHRAL BIT LTD. The amount of 10.12 USD has been deposited to your account. Accounts: U15199701->U4222871. Memo: API Payment. 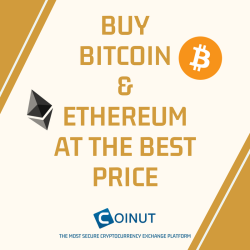 Withdraw to nelomota from ETHRAL BIT LTD.. Date: 19:16 28.04.18. Batch: 212866192. The amount of 2.4 USD has been deposited to your account. Accounts: U15199701->U2631114. Memo: API Payment. Withdraw to MYINVESTBLOG from ETHRAL BIT LTD.. Date: 22:13 28.04.18. Batch: 212875257.